Looking back at Apple's September 2018 in review, Apple set the table for the rest of the year by debuting new iPhones and a new Apple Watch model that were adored —and fired up the decades-old debate if Apple products were too expensive for the company's own good. 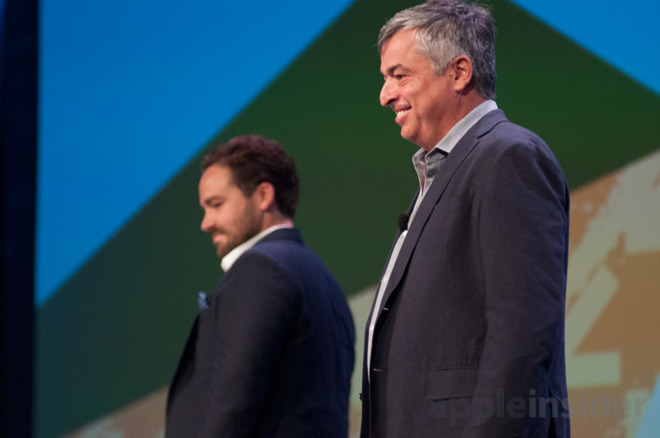 Where August had been about hacks and security, Apple simply owned September. This is how big September was for Apple —there is a decent chance that you are reading this on a device that they released at their Gather Round event then. For this is the month that the company unveiled the iPhone XS, the iPhone XS Max and the iPhone XR. Plus the Apple Watch Series 4 which, if anything, outshone the phones. After months of speculation, there was a somewhat anticlimactic feel as we got to September 12's event. It felt less as if we could look forward to something and more that we would get a kind of score card where we'd see which predictions were right. That is, until with 11 minutes to go before the keynote was scheduled to begin, when Apple fooled us all with a tweet. There is not a soul on the planet who saw that tweet and didn't believe that Tim Cook had accidentally sent a reply out publicly to a private direct message. You can't see it now because Apple removed it shortly afterwards but for a time, there was a huge and rapidly growing thread of responses to that tweet. It's not as if we weren't paying attention or as if we weren't already waiting for the keynote to start but now we were sitting up closer. We were tuned in to the event in every sense and Apple played us superbly, just superbly. There aren't many companies whose offices you're interested in seeing but of those there are, surely most would have shot us a really dull tour of the building. 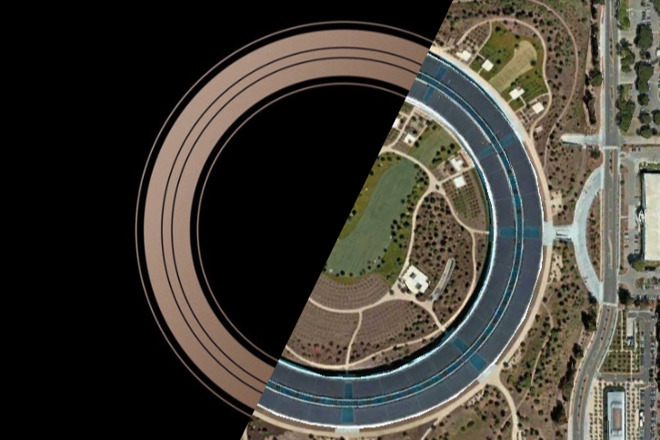 Apple instead conjured up a Mission: Impossible story that had actor and stuntwoman Cassie Craig happen to run by every interesting feature of Apple Park. Even if that did mean her route to Tim Cook and the Steve Jobs Theatre was just about as circuitous as it could be. That was a very expensive, very well-produced and really well-timed joke. Apple knows how to put on a show. It also knows how to milk a moment so even as we all now waited to see what else Apple could surprise us with, Tim Cook took the unusual step of dipping into the company's history. He still told us about new stores and that they were welcoming five million visitors per year. Yet he drew a line from the Apple II computer in the 1970s to iOS today, emphasizing that Apple has always been about making technology personal. He also announced that Apple was about to hit the major milestone of the two billionth iOS device shipped. And then it was straight into the new Apple Watch. Cook announced that the Apple Watch was not only the number one smart watch in the world but that "it's the number one watch, period." He still won't give us actual figures to back that up, but it was hard to see the new Series 4 and not want to add one more to its sales. Jony Ive said that after the launch that this was the Watch's most important update. Ive stopped short of saying the previous Apple Watches had been poor, but he did say that "every bone in my body tells me this is very significant." The most visible difference in the Series 4 Watch was its larger screen size. The old 40mm model was now superseded by a 44mm one and similarly the smaller size went up from its original 38mm to now 40mm. Alongside the difference in physical dimensions of the whole hardware, the Watch display was dramatically better because Apple had managed to reduce the size of the bezels around it. However, Ive said: "the [new] screen size isn't so expansive that you somehow feel you'll fill every minute browsing whatever you browse It addresses that functional imperative of being able to be in touch." Apple Watch Series 4, together with watchOS 5, turned out to be the little watch that kept adding compelling features. It now has fall detection —it will know if you fall over and if you don't get up shortly afterwards, your Apple Watch can call emergency services. 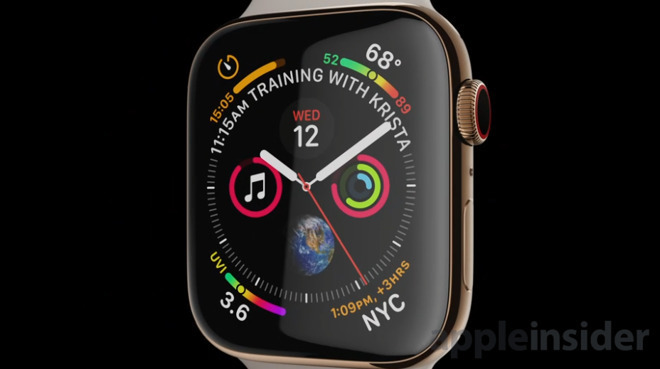 While not available until a software update later in the year, this launch is also where Apple showed that the Watch could take an electrocardiogram. No other ECG device has ever been available over the counter and direct to consumers. This feature came backed by endorsements from the likes of the American Heart Association and it was cleared for use by the FDA. Apple Watch Series 4 was announced as shipping from September 21 with prices starting at $399 for the regular Watch or $499 with a cellular-connected version. The new watchOS 5 would be included on this Watch and be released for all previous Watches bar the very first one from September 17. September's event has long been where new iPhones are launched and that is always the focus of all the attention building up to it. Yet this time, Apple spent the first 30 minutes or about 29 percent of the entire presentation on the Apple Watch. That still left more than an hour in which Apple announced and detailed the new iPhone XS, iPhone XS Max and iPhone XR. Here's AppleInsider doing the same thing in under six minutes. We could do that, we could sum up all the new features this quickly, and actually so could Apple who released a one-minute video themselves. Even so, we don't begrudge Apple taking ten times longer at the Gather Round presentation. These new phones are of course the best iPhones that Apple has ever made but if that is true of every version, it felt especially so this time. There wasn't the kind of total revision that we saw last year as Apple went from the familiar iPhone 7 to the radically new iPhone X. There was, though, an improvement in every single feature that made the X a success. Face ID still means you can unlock your phone just by glancing at it but now that was even faster. We didn't have a problem with its speed before, but you notice the improvement every time you pick up the new phones. Then if that was what we see with the screen, there was also what the phone see with their new camera system. This is yet another case of when you compare the specification list you don't see a great difference between the new phones and last year's model yet you do as soon as you use them. 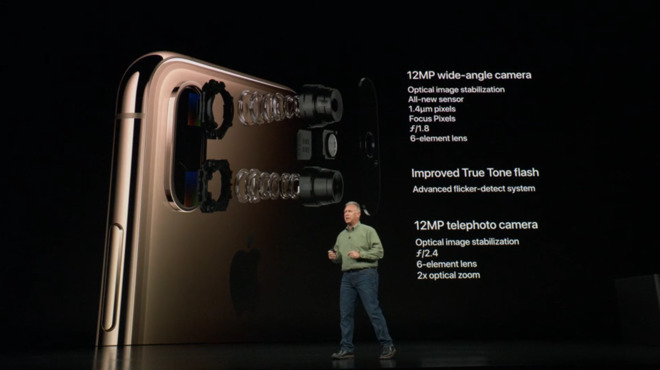 Apple called this a "new dual-camera system" and it retained the same megapixel count as the iPhone X, it kept the same range of F numbers. Yet behind the lenses there were significant improvements to the sensors and the processors. Plus, of course, there was now the Plus size. 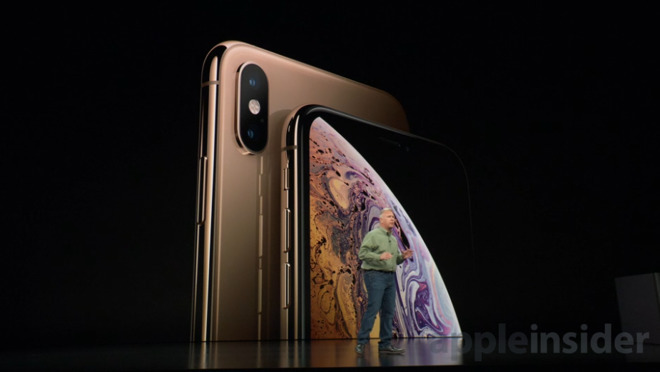 Apple introduced the term Max this time, arguing that while the body of the new iPhone XS Max is similar to the previous iPhone 8 Plus, the screen is even bigger. It was also gorgeous. Both the iPhone XS and XS Max have OLED screens and you can be told a hundred times that these are better but it's when you see them that you know. Except Apple did try to have it two ways. Alongside the iPhone XS and XS Max which were due to ship on September 21, there was the iPhone XR coming on October 26. Apple has never used the word 'cheap' in its life but it came as close as it ever has when introducing the new iPhone XR. "We want to serve everyone," Tim Cook said after the launch. "We understand that there is a wide range of what customers are looking for and a wide range of prices that people will pay." Typically Apple has tried to address this by keeping previous year's flagship phones on sale for lower prices. This time it entirely dropped 2017's iPhone X but it did keep the iPhone 7 and 8 together with their Plus versions. 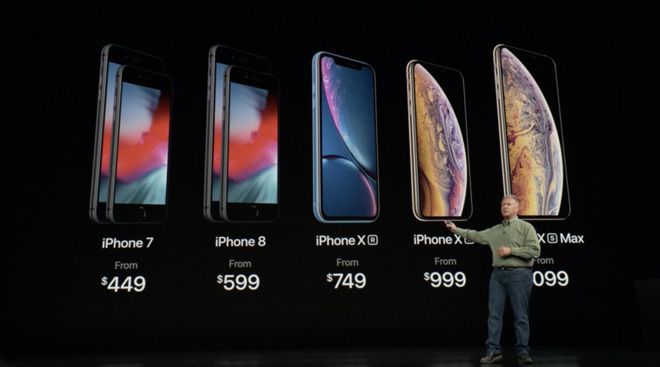 Right in the middle of the new lineup, though, is the iPhone XR which was to sell from $749. There is no chance you'll ever call 750 bucks cheap either but somehow Apple has managed to make us think of the XR that way. To make the cheap iPhone XR, Apple dropped the OLED screens of the X, XS and XS Max. To an extent they also dropped the slim bezels of those phones as the XR has visibly thicker ones around its screen. That screen is still an improvement on previous iPhones, though, and Apple calls it a Liquid Retina display. Also, where the XS range has a dual-camera system on the back, the XR retains a single-camera one. It's not as water-resistant as the XS models. Yet if you can see the difference in the screen when the phones are side by side, you didn't get to see the phones side by side for more than a month. It wasn't until after the XR shipped in late October that you could go into an Apple Store and handle both. Maybe that helped sales of the more expensive phones because far from being the cheap also-ran compromise phone, the iPhone XR was remarkable value. It has the same Face ID as the XS ones, it has the same all-screen design or near enough that the XR doesn't have a Home button. Then because the screen requires less power, the iPhone XR has the best claimed battery life of any iPhone ever made. It beats the iPhone XS easily. That top-range iPhone is claimed to have talk time of up to 20 hours and internet use of up to 12 while the XR gets up to 25 and 15 hours. The iPhone XS Max with its larger battery is also able to claim up to 25 hours of talk time but Apple rates it at only 13 hours of internet time. Just to prevent us staring at our screens for up to 13 hours a day, incidentally, Apple also chose now to introduce Screen Time in iOS 12. The idea is that each week your iPhone, whichever model it is, will report to you how long you've spent using it. We knew in September that we were absolutely going to use this and would amend our foolish screen-obsessing ways immediately. Oh, yes. If Screen Time was interesting and a good thing that we ultimately weren't terribly fussed about, absolutely everything else at this launch event was superb. Or so we thought. Actually, we still think so. Just look at the photographs taken with the cameras on these new phones. Maybe a reason we love that shot in particular, however, is because there are no people in it. 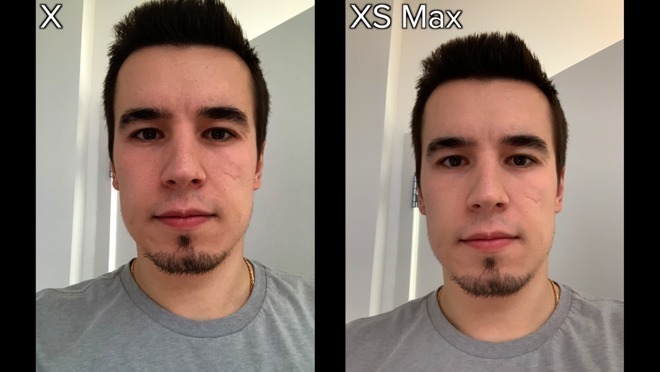 And that was, perhaps briefly, an issue as soon after the launch of the XS range, we got into Beautygate. Look, this was overplayed and actual photography experts debunked the entire issue. However, to some eyes and on some shots, it could look as if images were artificially enhanced. 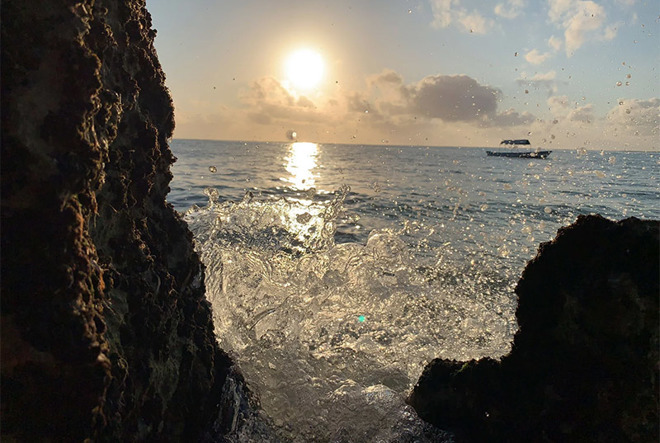 They could look smoother than people expected and this was a direct result of Apple's Smart HDR and computational photography algorithms. Maybe we just don't care about skin being smoothed out and would only have noticed if the camera had given us our hair back. Nonetheless, Apple did announce that it would be fixing the issue in the then forthcoming iOS 12.1 release. Along with all the new releases, Apple did remove some old products and while it always does so, this time there were two surprises. One was that decision to drop the iPhone X instead of just lower the price, but the other was to simply stop selling one of the most popular Apple Watch versions. It's possible that you didn't know that the ceramic Apple Watch Edition was a classic or even all that popular because you had to pay from $1,249 to have one. Nonetheless, if you had spent that much, you'd have got a Watch that was demonstrably stronger. Maybe you were able to keep your aluminium Apple Watch looking pristine but with the ceramic one, you'd have had to go to lengths to leave a mark on it. Still, the new Apple Watch Series 4 looks fantastic even without a ceramic body. And if we'd spent months waiting for it and the new iPhones, we now spent much of the rest of September waiting for them to land in our hands. While we waited, though, everything else was business as normal for Apple. Which means legal issues and controversies. 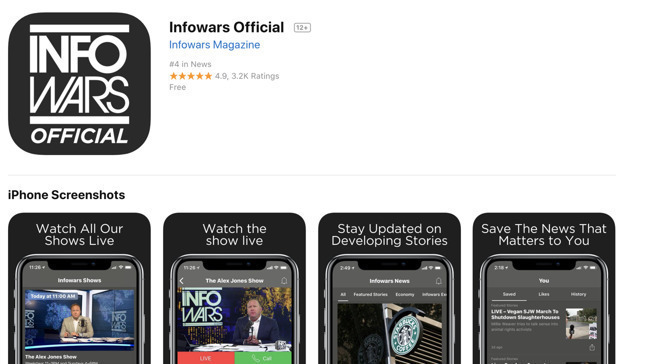 Apple took controversial conspiracy theorist Alex Jones off iTunes and podcasts, for instance. Jones, for instance, had been calling the 2012 Sandy Hook elementary school massacre a hoax, and by September 2018 became the subject of a meeting between Tim Cook and Apple's Eddy Cue. They decided to ban Jones but initially just his podcasts, opting to allow his Infowars app to stay on sale as it had not violated App Store guidelines. That didn't last. By September 7, Apple also removed the app and when asked about it, only referred to its app guidelines that prohibit "content that is offensive, insensitive, upsetting, intended to disgust, or in exceptionally poor taste." A few days later Facebook also banned Jones and CEO Mark Zuckerberg confirmed that it was done following Apple's lead. 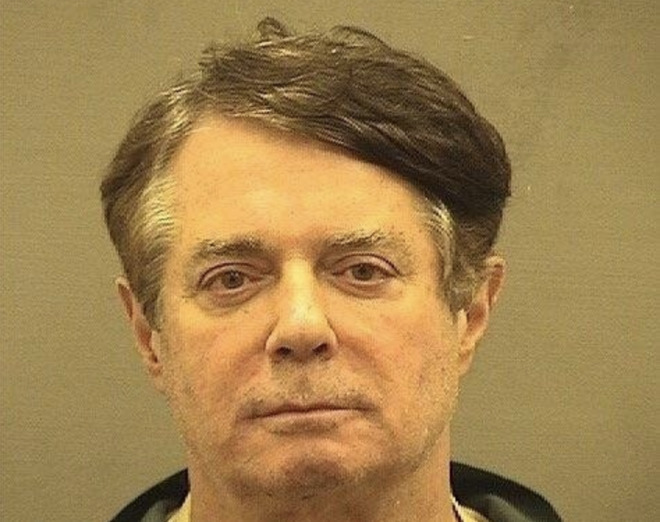 Someone else in trouble in September was former Trump manager Paul Manafort who was convicted in August on fraud charges, this month agreed to plead guilty to one count of conspiracy against the US and one of obstructing justice. This became Apple news, though, because one of the reasons he was caught was iCloud. While Apple will not unlock an iPhone for anybody, it has accepted court orders to release data that is unencrypted. Manafort backed up his encrypted WhatsApp messages to his unencrypted iCloud account. You can call that Manafort having poor security but critics such as Fox News instead called it Apple conspiracy. AppleInsider detailed the many fallacies in Fox's logic but did also have some basic advice for people using iCloud. "Don't commit federal crimes." Incidentally, this September also saw special prosecutor Robert Mueller seen getting an Apple Store Genius Bar appointment. We don't know if it was anything to do with iCloud issues, but it sparked a typically entertaining stream of jokes on Twitter. September was an exhausting month if you're following Apple —we haven't even touched on the Qualcomm legal case that we'll come to as it rumbles on through the rest of the year. Not surprisingly, though, it was also an even more exhausting month to actually work at Apple. In his opening remarks at the "Gather Round" event, Tim Cook referred to how "things certainly do get hectic around here leading up to days like this." He wasn't complaining but you had to be reminded of how earlier in September it was revealed that Eddy Cue, head of Internet Software and Services, would allegedly fall asleep in meetings. The criticism he got was not that he would sleep but rather that he was simply overextended. And that this was having a detrimental effect as, it was claimed, he was consequently failing "to intercede in conflicts [at] important moments." Still, September's much-awaited launch was finally over, no doubt Apple staff could relax for a while. Except, no. The instant the event ended, we started all over again with rumors about what would be in an October event —and if there would be one at all. Read the next part of AppleInsider's 2018 review. October 2018 saw Apple host an iPad Pro, Mac mini, and MacBook Air refresh event — but Bloomberg dropped an iffy China iCloud spy chip bombshell. Plus, Kanye West elected himself as an unofficial Apple spokesman. All this and more, in Apple's October 2018 in review.